Solar panels can be a good long-term investment. 1. What Is Life-Cycle Budgeting? Solar panels don't just benefit the environment. They may also have long-term financial effects when they are installed properly, both for individuals and for the economy at large. To a great extent, solar panel efficiency depends on where you live and how much sun your property receives, so consider these factors before you proceed with installation. The most obvious long-term benefit of solar panels is savings on utility costs. In a story published at Bloomberg online, OneRoof Energy CEO David Field estimates that solar panels can reduce monthly utilities by as much as 10 to 20 percent. Those numbers may not seem significant in the short term, but they add up as the months add up and savings accumulate. Of course, solar panel utility savings vary based on usage and other factors, such as where the panels are installed and how much sunlight they receive. Solar panels are easy to maintain and hard to damage. As long as you clean them regularly and remove debris, they should function for years. If you live in a very dusty area, you might need to clean your panels more frequently. Solar panels have no moving parts, which means they are less likely to break and malfunction. Home Depot estimates that the average solar panel system lasts approximately 25 years, and will require minimal maintenance during its lifespan. The best way to determine the exact financial effects of your solar panels is to calculate the amount of time it will take to repay your initial investment in panels. For example, if your solar panel purchase costs $70,000 and you save $7,000 per year in utility and maintenance costs, it will take 10 years to make up for the initial cost. Obviously, the more your solar panels cost, the longer it will take to recoup the initial cost of installation. Don't forget to include any tax incentives or utility company rebates you might receive from installing solar panels. If you don't want to wait 10 years to reap the benefits of your solar panels, consider joining a solar power purchase agreement, or PPA. PPA plans are ideal for business owners who want to use solar power but don't have the funds to install the panels. 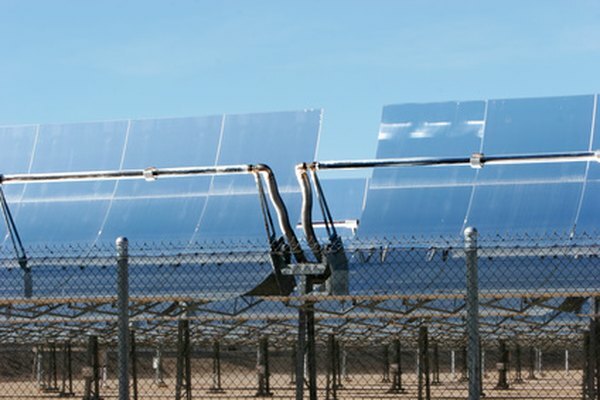 Solar energy companies offer to enter into a contract with a host company, which agrees to have the panels installed for a certain amount of time. Not only does this approach save money in the short-term, since there are no upfront costs, but it also offers long-term benefits, such as consistent, predictable pricing for a set amount of time, which can be as long as 20 years, as well as low, fixed escalation rates.